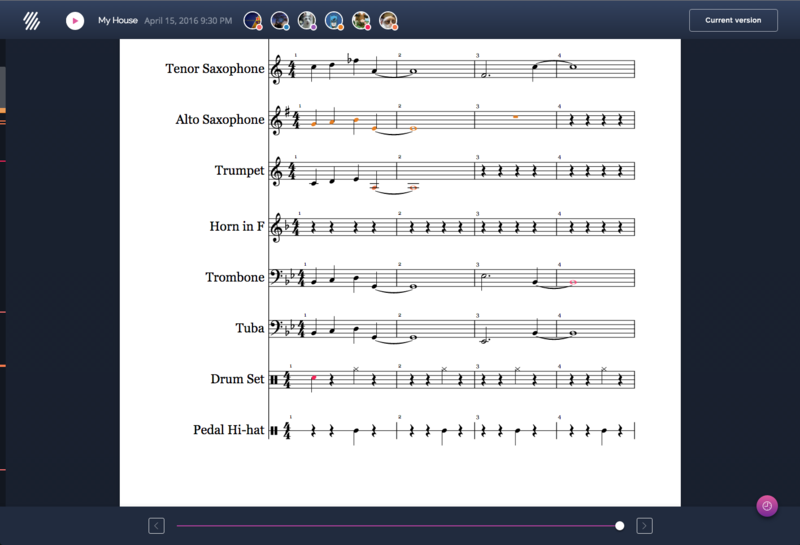 Few months ago we launched our Smart History, a revolutionary way to browse the history of a music score: the ability to discover how the composer or arranger made it note after note, follow the different modifications added by your collaborators and restore a document at a specific modification. Today we're excited to announce than anyone can try this awesome feature... for free! Just click on the button below to enable and enjoy a free week of our Smart History.